← Is Pregnant the New Fat? I am not here to complain about how hard it is to be a mom or how my husband travels or why I don’t have enough time in the day to balance work and play…blah blah blah. I am not going to complain because I am sure that there are worse situations than mine. Everyone has their struggles and their difficult moments. My concern today is: How we refuel? Where is the Mommy Gas Station? 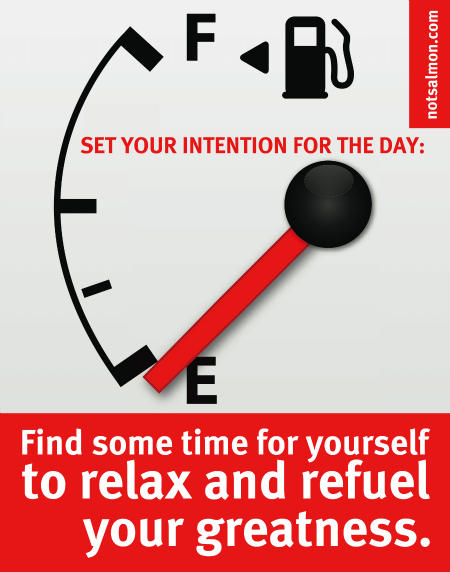 Where is the time or place or moment that refuels our tanks? As I write this, I am reminded that there are many men out there who are thinking the same thing. So I correct myself and ask – Where is the Parent Gas Station? Our days are filled with family obligations, work, school drop off, kids activities, our daily fitness routine, etc…Very few of us take the time to decompress and refuel. I know many friends that are nervous about their kids getting hurt or sick, stressed about work, angry that their spouse gets to travel, overwhelmed about household chores, the list can go on and on. A lot of that energy spent on these emotions and feelings is wasted. There are times that we need to accept that we cannot control everything, kids are going to get hurt, work is not going to become easy, their spouse still has a trip planned next week and we CANNOT CHANGE IT! By letting go of some of the emotions that are wasted energy, we can cut off a line that is sucking the life out of us. 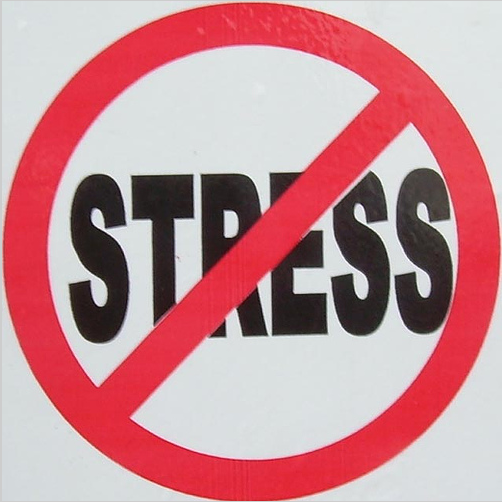 Stress is a trigger for a lot of medical issues we are all facing. Weight gain, tension, muscle aches, acid reflux, GI upset, lack of energy, insomnia, depression are all symptoms associated with stress. We MUST attack it and learn how to handle it in our crazy driven lives. A second place of wasted energy is one that we stress to our children everyday – consequences! We as parents have a picture in our head of what things or activities look like. The problem is that our children are not clones of us, they are unique, they think differently, they problem solve differently, they are different. People around us are different too! We need to look at each situation and evaluate the consequences….For example, if I let that car merge in front of me (even if they cheated and went up the off ramp), what are the consequences? Probably none – so don’t get so worked up and angry at them. Or if your kid wants to draw a face with his ketchup on his plate, what are the consequences? Again probably none – so don’t bark at him to stop playing and eat. These are goofy examples and I know that there are times that we may not want these situations to happen. THAT is why we need to ask the question – What are the consequences? Ask it before you yell at your spouse, you react at a coworker, you get bothered by a friend, you feel exhausted from your kids…ask it first. All said and done, we need to try and refocus our energy on constructive things and not deconstructive things. Locate your station and make an appointment for a REFUEL! This entry was posted in Diet, divorse, Exercise, Fitness, good sleep, Health, Health & Wellness, marriage, Mental health, Mom, mommy and daddy, motivation, new moms, relationships, Relaxation, Resolutions, sleep hygeine, Stress, women and tagged anxiety, control, everyday consequences, exercise, health, Mental health, refuel, relaxation, serenity prayer, stress, vacation. Bookmark the permalink.